Your closet is one of the first things you have to look at during your morning routine. You start your day staring at your closet. Standing in front of it, day after day after day. Well, if that closet is cluttered and messy then it’s a bad way to start your day. You may not even realize how much you hate your messy closet until you’ve finally had it organized. I always feel like after I’ve organized my closets it’s like a breath of fresh air when I open the closet. STEP ONE: Admit that you have a problem. 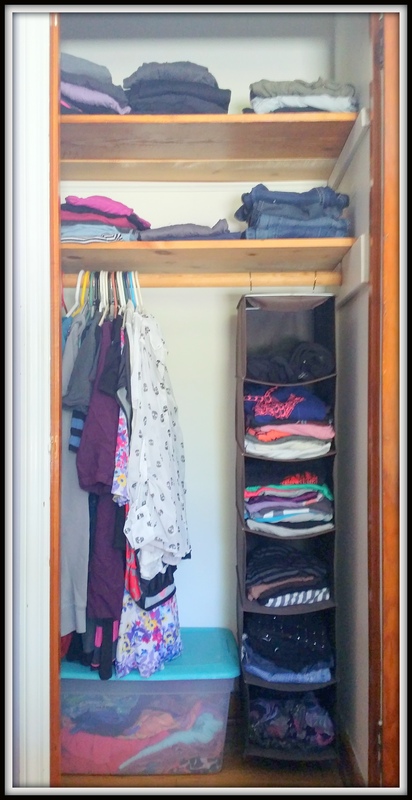 Messy closet is a huge problem but luckily it’s usually a very easy fix! Take EVERYTHING out and pile it on your bed. STEP 2: Divide your clothes in categories on your floor (make sure you clean the floor or spread a sheet on it first). 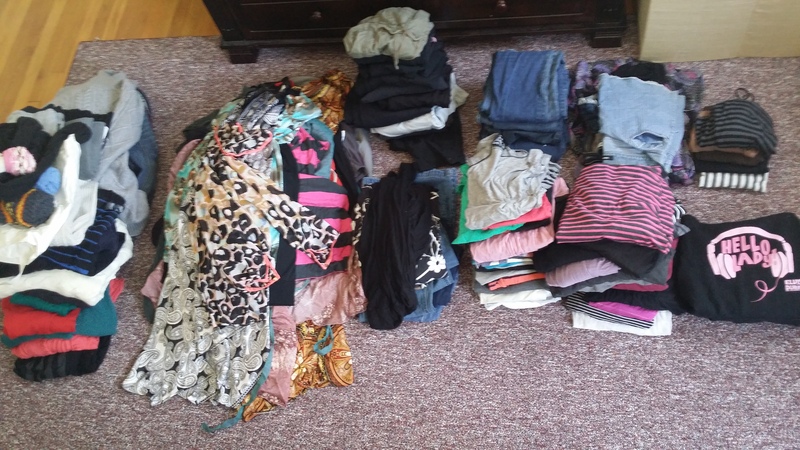 On this picture we have: Winter clothes (to put away in storage for the winter), clothes to hang up, workout clothes, jeans, pants, shorts, skirts, t-shirts with long and short sleeves, hoodies, clothes for donation. 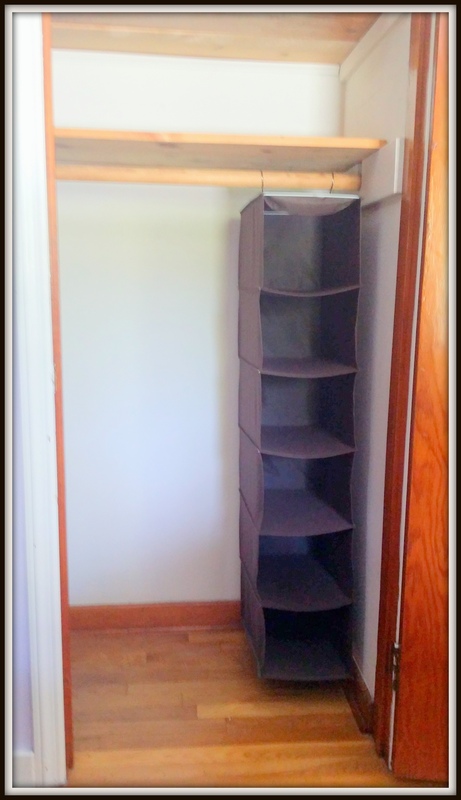 STEP 3: Get a damp cloth and wipe clean the interior of your empty closet. If you never had any organizational plan in mind then now it’s time to get one. Here we have a hanging shoe organizer that will be used to put shirts in. We also have a big plastic bin that will be holding things that are needed during summer time but not every day or week (beach clothes, swim suits, sun hats in this case). STEP 4: Put the clothes away. Arrange them so that you’ll have easy access to the things you wear every day and put the other things more out of reach. In this case we were able to hang all the party dresses on the far left, totally out of sight and put all the casual clothes right in front. This whole process took an hour. If this was your closet and you had a Wizard come in for a cleaning then for extra $40 you could have also had your closet organized. Previous Coca-Cola Cleans your tub!